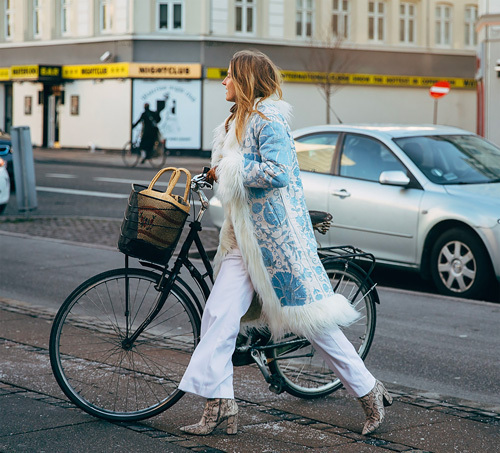 With the crazy polar vortex gripping much of the country, I bring you much needed cold weather style inspo from another truly cold place: Copenhagen. Contending with an average winter temperature of zero-degrees centigrade, the Danes are experts in fending off Mr. Frost--fashionably. Their current M.O. 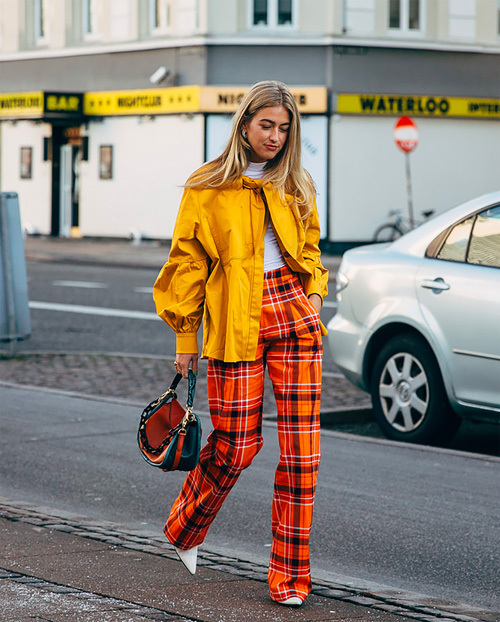 : bright and bold! Neons! Checks! Feathers! Fringe! 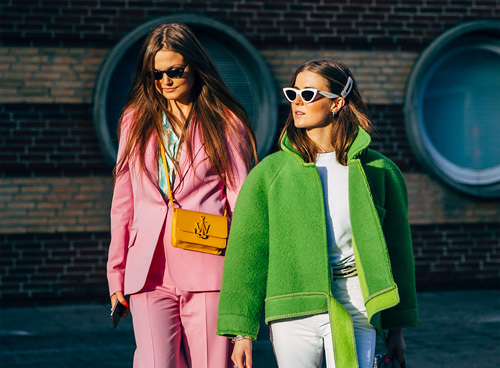 I'd like to warm up in these sunny looks and ward of winter's gloom. 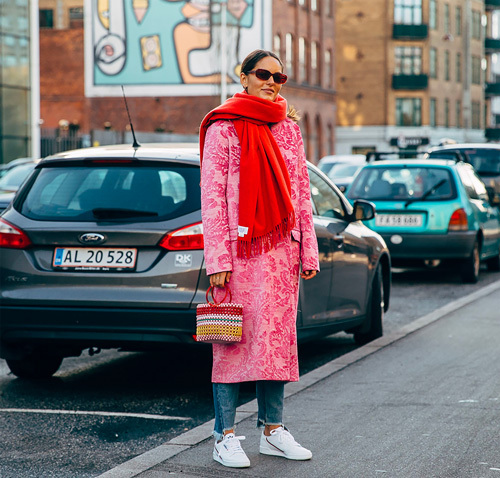 Examples include this Zazi embroidered coat (similar to the blue one below), this pink Ganni jacket, this oversize checked Mango blazer, this animal print-trimmed Mother puffer, this English Factory statement trench, this snakeskin Asos, this colorblock Lu Mei Hackney puffer, and this lilac faux fur Topshop coat.